Cinque Terre was on my wish list for a while now and happy to visit this land of five villages during my birthday week for a weekend. The beauty of those villages on a coastline of Italy was nothing then spectacular and mesmerising, no wonder this village is under UNESCO heritage. Let me take through you to this beautiful five lands. Definitely stay here for longer rather then just a day trip, because soaking up the beautiful view or hike around vineyard and olive groves is something that can energize you up. 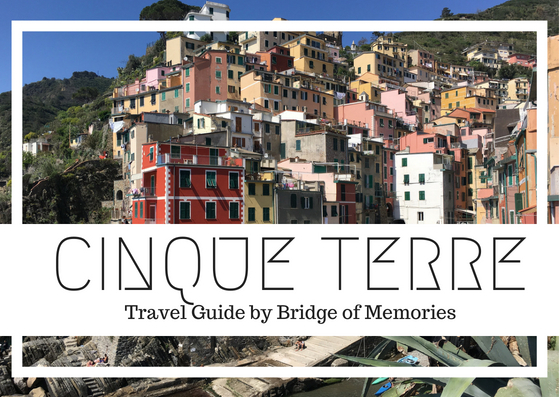 Cinque Terre, in translation literally mean "five lands" - Riomaggiore, Manarola, Corniglia, Vernazza and Monteresso. Each have its own heritage, beauty and something captivating to everyone. Whether it is beaches, picturesque colourful houses, cliffs or turquoise seas. As much as it looks pretty during the day, these villages are also memorable during the nights, when all the lights are up. The attraction for these villages is deffinitely because of their colourful houses and beautiful vineyard landscape. The villages itself are pretty small, so it can be seem to be easily crowded. 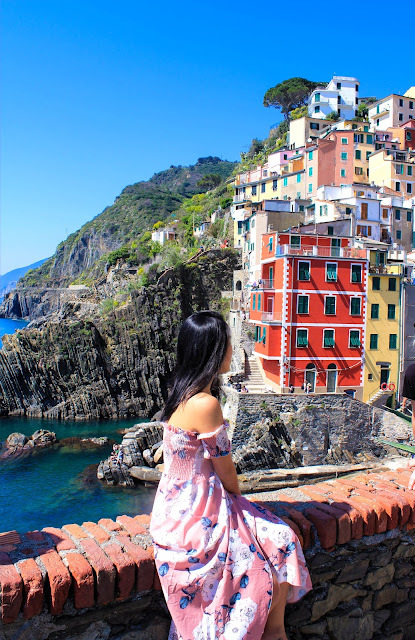 I have personally visited only Riomaggiore and Manarola, but cannot wait to explore the rest of it. All villages are connected by trains or by hiking path. Cinque Terre is easily accessible by trains from Pisa or Genoa in 1.5-2.5 hours. As these villages are part of UNESCO Heritage, cars are banned in here. Thus, the only way to get to the village and around is by train. Besides colourful buildings, a harbour, picturesque marina, Riomaggioare has a cathedral to visit as well as rocky beach La Fossala. There is also a pathway called Lover's lane that leads to Manarola village. Manarola is just 10 minutes away from Riomaggiore by train. It is significant by its rainbow-painted houses on a cliff and that is why it is the most picturesque village. Manarola is second smaller village with one main street. The life is centered around this street which leads to the small harbour and pathways for views. Unlike other villages, Corniglia is the smallest village and not surrounded by a sea. However, it is surrounded by greenery and vineyards scenery. Whether you will decide to take a train or hike to Corniglia, you will have to still hike up to reach to the place. Compared to other places, Corniglia would give a visitor truly authentic experience. Vernazza is another photogenic place in Cinque Terre. Because of it steep location, it gives you a sea view at every corner. Life is again surrounded around the main street towards harbour, it is said that Vernazza is one of the fishing villages on the Italian riviera. As it is small and gets crowded by visitors, there is an escape to a nearby beach through a tunnel at low tide. Monteresso is the only Cinque Terre village that offers a stretch of sandy beach. Monteresso is acting as an unofficial capital of Cinque Terre, as it is the largest village of all of them.